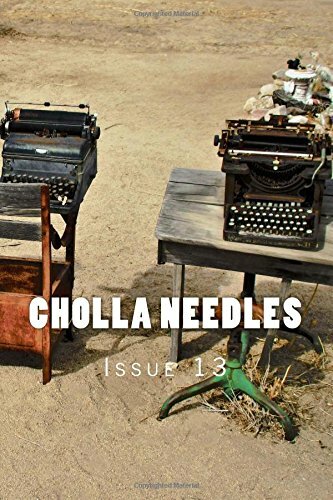 Cholla Needles Arts & Literary Library: Issue 13 Available! Our publications are available locally at Rainbow Stew, Space Cowboy, and Raven's Book Shoppe. Space Cowboy Books, and Raven Books! Copyright © 2017 Cholla Needles. Picture Window theme. Powered by Blogger.